Natural light is one of the most desirable qualities a home can have. 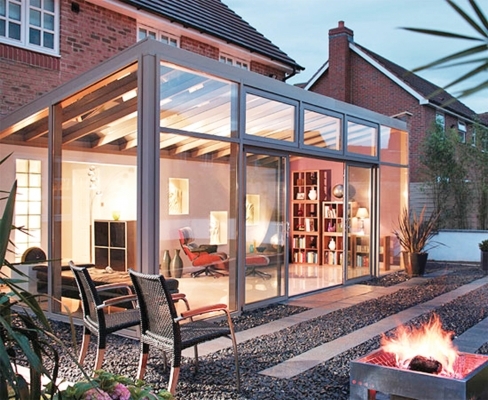 With unrivalled looks and thermal performance, our Aluminium roof glazing options will help bring a stylish ambience to your home while maximising the use of light and space. Our Aluminium roof lanterns are the perfect fit for any extension or orangery. 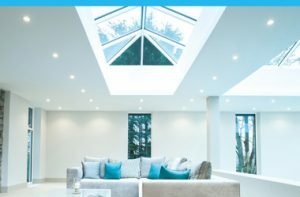 Our roof lantern offers exceptional benefits unmatched by any other roof on the market, in terms of its outstanding thermal performance and undeniable good looks. Our super slim 40mm frame allows sharp, clean lines and minimal roof bars. Compared to other conventional Lantern roofs, our product has a 70% slimmer top roof bar (also known as the ridge) and 30% slimmer rafter bars. 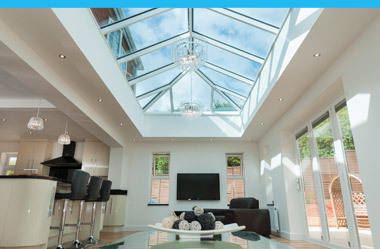 All our lantern roofs offer the option of self-cleaning glass, helping to keep your roof looking cleaner for longer. An incredible 0.7 w/m2k overall U value when triple glazed. 1.2 w/m2k overall U Value when double glazed. 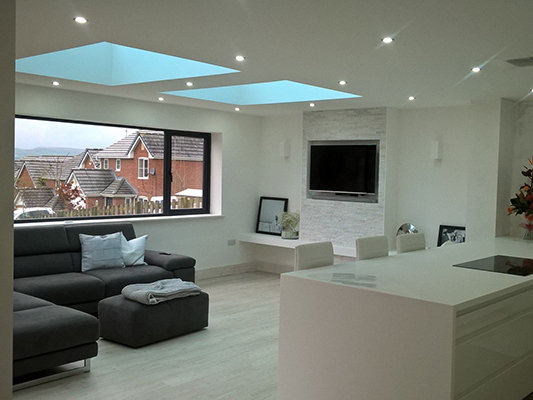 Designed to throw maximum light into any home, bring style and quality to your home with our Aluminium flat rooflights. The minimalistic contemporary external design with flush glazing gives a sleek, modern appearance and is a stunning addition to any home. 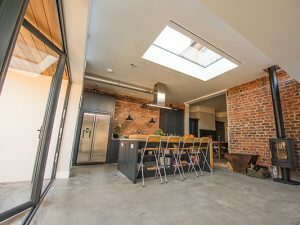 Sitting flush with the internal plaster line, the fixed flat rooflight appears frame-less from the interior of the home, creating the illusion of an open roof space. 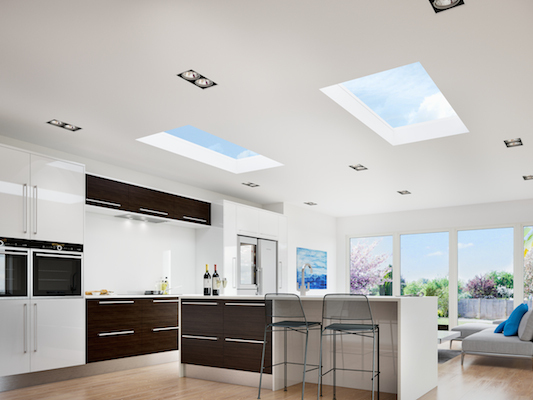 The flat rooflight achieves an overall U value (roof and glass) of 1.3 w/m2k when double glazed.